Is sunlight distributed? No. Is air? No. Water? No. Freedom? No. Language? No. 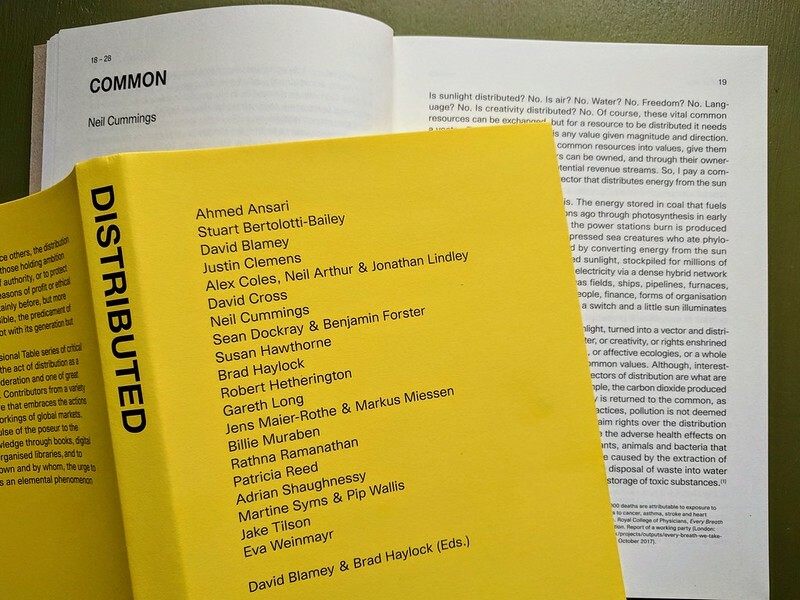 Is creativity distributed? No. Of course, these vital common resources can be, but for a resource to be distributed it needs a vector. Technically, a vector is any value given magnitude and direction. Vectors distribute. Vectors turn common resources into values, give them magnitude and direction. Vectors can be owned, and through their ownership they convert values into potential revenue streams. So, I pay a company that claims ownership of a vector that distributes energy from the sun as electricity to my home. 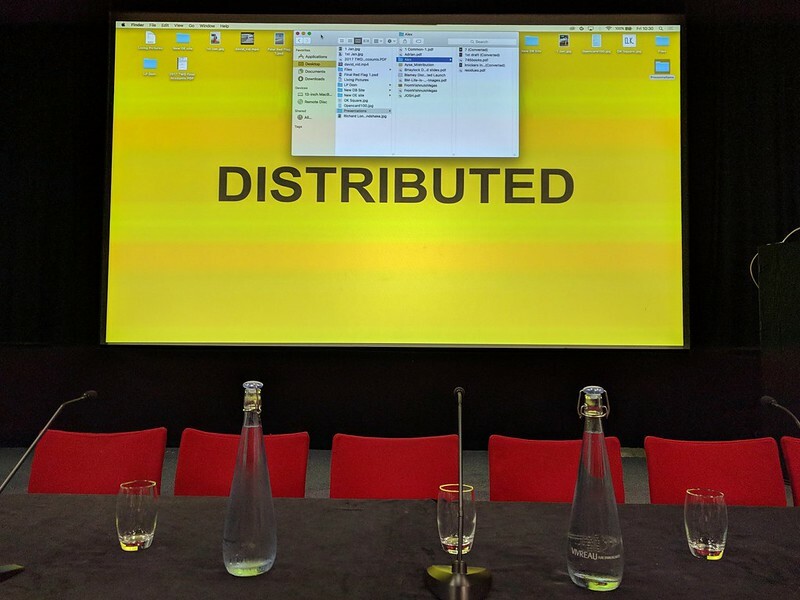 DISTRIBUTED, a publishing symposium about the act of distribution across the spectrum of cultural production. COMMON MARKET, a small producers’ fair celebrating the free movement of ideas by trading conceptual goods and services.